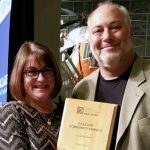 BELLEVUE, Wash. (Dec. 26, 2017) – Eleven individuals and one organization were singled out for special honors at the 2017 Installation & Awards Banquet of the Seattle King County REALTORS® (SKCR). The event also featured the installation of the organization’s 2018 leaders, recognition of individuals from affiliated organizations, and a dessert auction to benefit a scholarship fund. 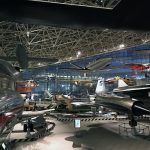 Held annually, this year’s event, held at The Museum of Flight, drew more than 200 participants. They included members, affiliates, and representatives from the group’s Council of Residential Specialists, Women’s Council of REALTORS®, and Young Professionals Network (YPN). SKCR’s highest honor, the Realtor of the Year award, went to Sam DeBord, managing broker of Coldwell Banker Danforth and a leader of Realtor associations at the local, state and national levels. In honoring Sam DeBord as the association’s Realtor of the Year, 2016 president Patti Hill noted his “unprecedented level of involvement during 2017.” Along with serving as SKCR’s 2017 president, he chaired the Washington REALTOR Legislative Steering Committee and was a leader on the nationwide “MLS of Choice,” initiative, a broker-backed policy change to allow brokers to choose a preferred MLS, rather than be required to join numerous providers of multiple listing services. DeBord, a frequent contributor to industry publications, was also applauded as a thought leader, recognized in part by his designation as a “top 20 social influencer” on the widely regarded rankings by trends analyst Stefan Swanepoel. Keith Pitsch, sales manager and senior mortgage advisor at Absolute Mortgage, a division of Finance of America Mortgage, Inc., in Bellevue, was honored for his role in building strategic connections between Realtors and affiliated service providers. Pitsch served as 2017 chair of the association’s Affiliate Council and chaired its charity golf tournament for a second year. He also sponsored a number of free educational seminars for Realtors. Two Realtors were honored for their community service: Paul McLaughlin and Cindy Silverstein. McLaughlin, a managing broker at John L. Scott’s Seattle Northeast office, is co-founder and board member of Living Life Larger for Others, a nonprofit that promotes the importance of volunteering and raises funds for worthy causes. He is credited with helping raise thousands of dollars for OSL (Operation Sack Lunch) Serves, a nonprofit that provides free meals to the hungry, and PAWS, an animal shelter and wildlife rehabilitation center. Additionally, this avid musician serves on the board of Children’s Hospital Imagine Guild and Taps for Veterans, which provides a live bugler at veterans’ memorial services. Broker Cindy Silverstein, with Windermere Real Estate/East in Bellevue, is a co-founder of the “Lunch for the Break” program, a community effort to fill the gap left by school luncheons during long school breaks. Since its beginning at one elementary school, the grassroots effort now serves the entire Issaquah School District, providing meals to 450 families when school is not in session. Silverstein has expanded on the theme, launching “Books for the Break,” which includes gifts of books with the food boxes for student enjoyment during school breaks. Her other community activities includes board service with other nonprofits. 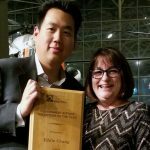 Government Affairs Volunteer of the Year Eddie Chang was honored for his service on the association’s Governmental & Public Affairs Committee and its various priorities. He volunteers as a state legislative key contact and as a panelist on candidate endorsement interviews. Chang, a Washington Realtors state director and SKCR board member, was also cited for his support of the group’s RPAC wine auction, and his efforts to improve real estate signage in the City of Medina. 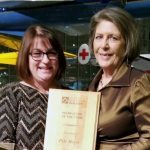 Award-winning instructor Pili Meyer added another honor to her collection with her recognition as Realtor Instructor of the Year. In addition to teaching numerous courses for professional designations and on other topics, she works as an associate broker at Coldwell Banker Uptown Realty in Port Angeles. 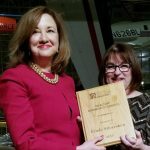 During a career that spans more than three decades, she has also been an active volunteer with Washington Realtors (including service as president in 2002) and with the national association. She’s been tapped to serve as the NAR President’s Liaison to the Czech Republic in 2018. 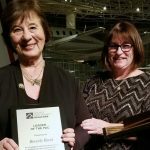 Beverly Read, a Seniors Real Estate Specialist at Windermere Real Estate Northlake, received the Leader of the PAC award for her commitment to the Realtors’ Political Action Committee and Realtor Party. Read, named a multiple-year “Five Star Agent” by Seattle Magazine, has earned several professional designations and recognition for her advocacy for clients, peers, and the industry. 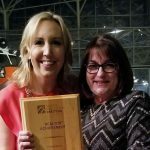 In 2016 she became the 21st Realtor from Washington state to be inducted into NAR’s Hall of Fame. Media of the Year honors went to the “Region of Boom” team at KUOW for the station’s series of comprehensive reports on growth and housing affordability. 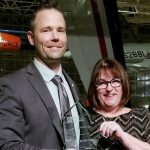 This year’s Realtor Achievement Award recipient was Trish Englund, an active member of the SKCR Young Professionals Network and several association committees. She currently serves as vice president of business practices for SKCR and as a director of Washington Realtors. Englund, a broker at Windermere Real Estate Midtown in Seattle, also served as 2017 chair of the First Citizen Event Planning Committee and as a volunteer with several charitable organizations. 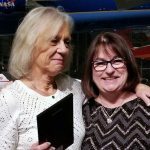 Debbie Rippeteau received a Realtor Excellence award for her leadership with the association at both the local and state levels. She served as the 2010 and 2011 president of the Women’s Council of Realtors, Seattle Metro Council, and as president of the state chapter in 2014. The former banker and title and escrow manager is a broker at Real Living Northwest in Bothell. Val Taylor, director of membership and communications at SKCR, was recognized for her steady hand in managing association events, “sometimes through unforeseen logistical issues.” In recognizing her, DeBord commented that those on the outside were probably unaware of the hurdles she had to overcome to make SKCR’s public facing events run smoothly. “That’s a testament to her skills as the consummate business professional,” he noted. Banquet attendees also participated in a raffle and dessert auction raising more than $8,000 to support the Seattle First Citizen Scholarship Foundation. The foundation awards annual scholarships to association members, affiliates and their family members based on good citizenship and involvement in community service. The Seattle King County Realtors® is a nonprofit professional trade association whose goals include promoting ethical business practices and supporting policies that preserve and expand real property rights and housing affordability. Based in Bellevue, SKCR has around 7,000 members and is a local board of the National Association of Realtors®. The term Realtor® is a registered collective membership mark that identifies a real estate professional who is a member of the National Association of Realtors® and subscribes to its strict Code of Ethics.